Marketing communication techniques have been transposed to the field of tourism communication. Today, each destination wants to highlight its assets by building a brand identity. A good technique: the tourist slogan. Summarize its greatest feature in a short sentence? Slogans respond well to this expectation: they are striking formulas that express a key idea. The slogan has become an essential tool in communication. It is used in advertising and each company has a slogan that aims to mark the minds of consumers with a short and attractive message. Countries have created their own slogan, in order to highlight their identity. 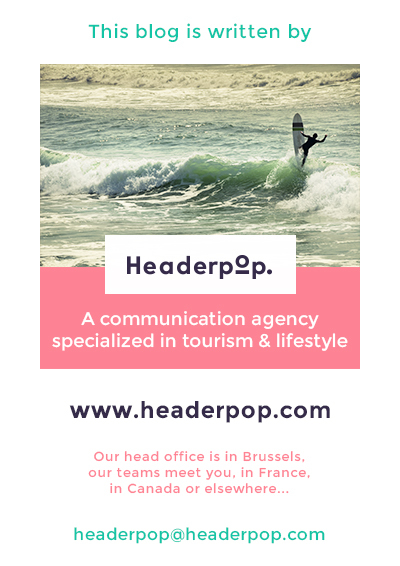 Tourist slogans try to convey a general feeling, values ​​in order to seduce tourists. Today, almost every country in the world has its own tourism slogan. 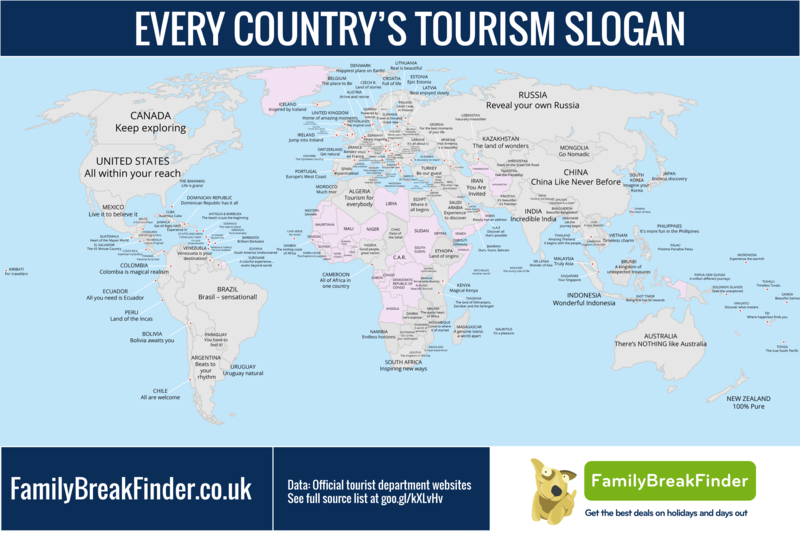 The Family Break Finder site has grouped all the slogans into a world map. Belgium for example, has bet on a pun on “The place to Be”. Others highlight their geographical location as Portugal which sports “Europe’s West Coast”. Some countries or cities even have a logo, a visual way of representing the identity of the place and declining it to be recognizable immediately. 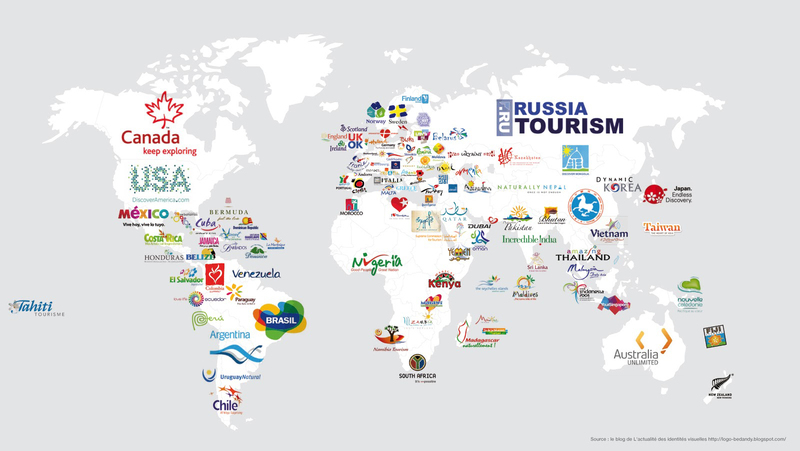 Tourism has thus become a global market where each destination seeks to value its differences from the competition like any other consumer product.